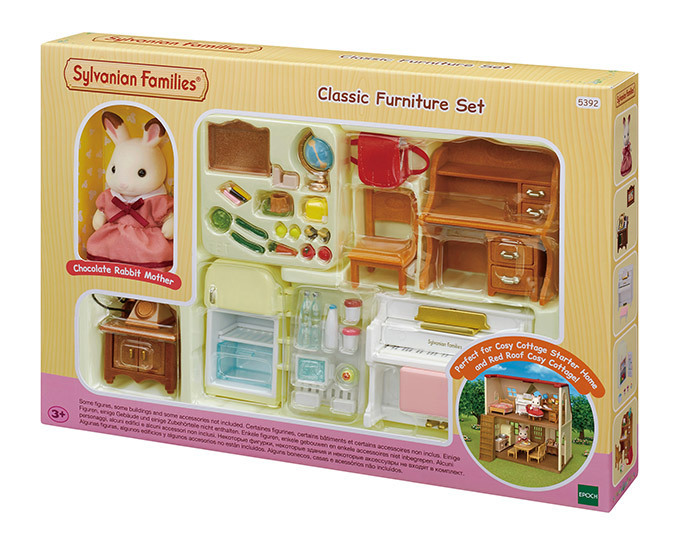 Turn the cosy cottage from a house to a home with this homely furniture set. 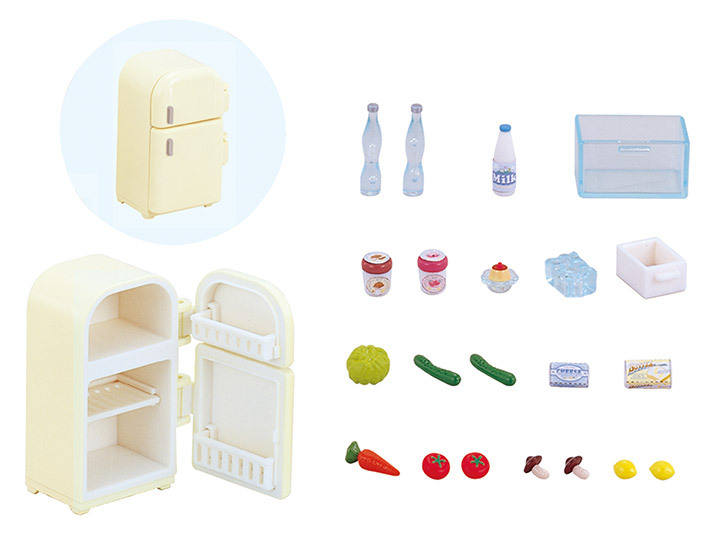 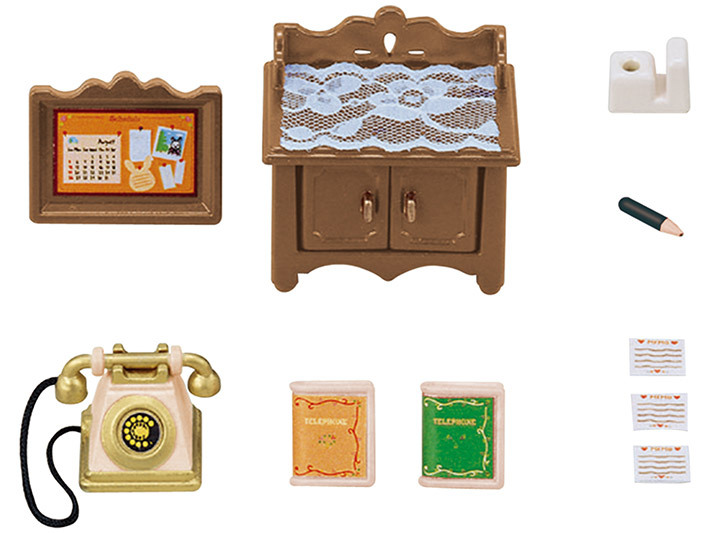 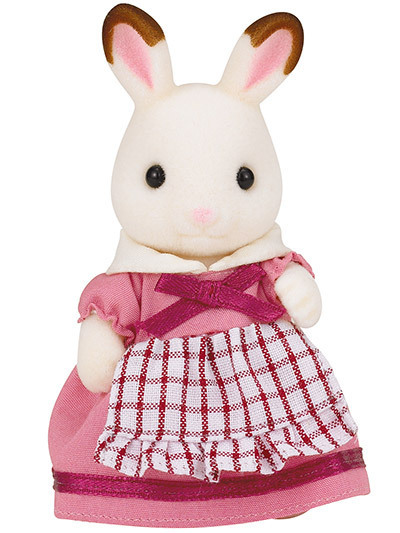 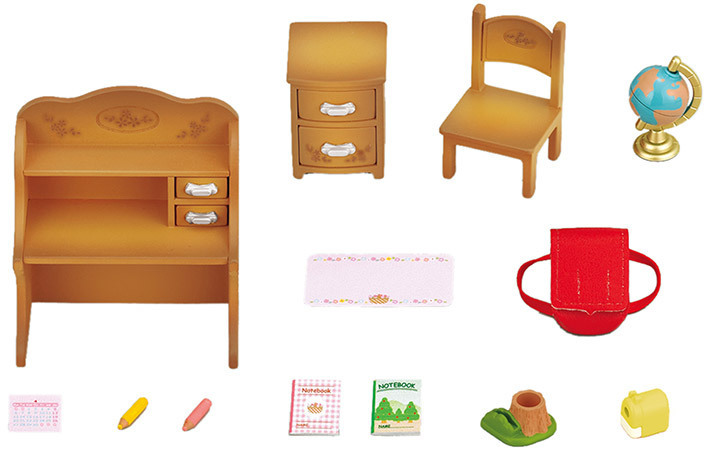 Complete with an apron-clad mother chocolate, this set contains all the furniture you need to add some sparkle to a children’s room, including a desk and stationery, as well as all the needed for a cosy country kitchen, including a fridge and some fresh yummy ingredients. 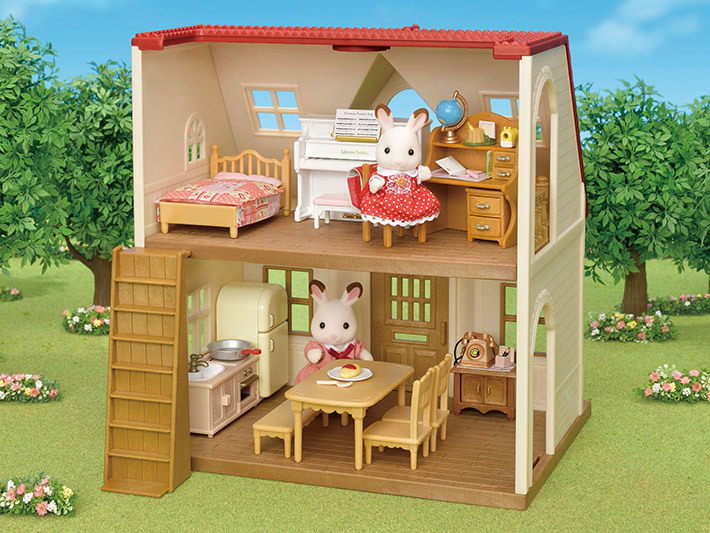 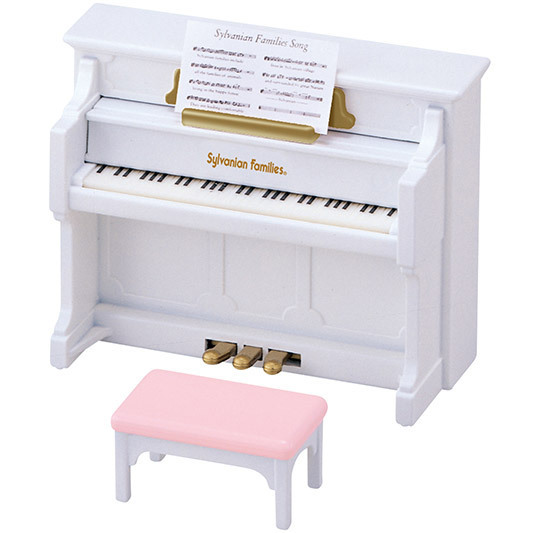 There’s even a telephone & piano to brighten up the sylvanians’ living room.